Perhaps taking two disparate assertions, one tacit and one spoken, completely out of their original contexts and re-mixing and re-applying them to a different set of circumstances can be a helpful means to introduce an emerging and potentially prosperous new trend. First, someone I know has a relatively smart and empathetic dog who will tilt his head from side to side if you ask him (the dog) something that sounds like a question. His owner claims that this is his dog’s way of non-verbally communicating – – to paraphrase (or parabark, maybe) – – something to the effect of “You know, you’re right. I never really thought if it that way”. Second, in an article in the January 4, 2019 edition of The New York Times entitled The Week in Tech: Amazon’s Burning Problems, by David Streitfeld, there is an amusing quote from a writer for WIRED named Craig Mod describing his 2018 Amazon Kindle Oasis as being “about as interactive as a potato”. So, let’s take some literary license (and, of course, the dog’s license, too), and conflate these two communications in order to paws here to examine the burgeoning commercial a-peel of the rich business data now being generated by augmented reality (AR) systems. To begin, let’s look no further than the 2019 Consumer Electronics Show (CES) held last month in Las Vegas. New offerings of AR products and services were all the rage among a number of other cutting-edge technologies and products being displayed, demo-ed and discussed.¹ As demonstrably shown at this massive industry confab, these quickly evolving AR systems that assemble and present a data-infused overlay upon a user’s real-world line of sight, are finding a compelling array of versatile applications in a widening spectrum of industries. So, too, like everything else in today’s hyper-connected world, AR likewise generates waves of data that can be captured, analyzed and leveraged for the benefit and potential profit of many commercial enterprises. A close and compelling examination of this phenomenon was recently posted in an article entitled Unlocking the Value of Augmented Reality Data, by Joe Biron and Jonathan Lang, on the MIT Sloan Management Review site on December 20, 2018. I highly recommend a click-through and full read if you have an opportunity. I will try to summarize and annotate this piece and, well, augment it with some of my own questions. Prior to the emergence of the Internet of Things (IoT), it was humans who mostly performed the functions of certain specialized sensors in tasks such as detecting environment changes and then transmitting their findings. Currently, as AR systems are increasingly deployed, people will be equipped with phones and headsets, among other devices, embedded with these sensing capabilities. This “provides uncharted opportunities for organizations” to make use of the resulting AR data-enabled analyses to increase their “operational effectiveness” and distinguish the offerings of their goods and services to the consumer public. How best to plan to optimize and apply AR-generated data? How to create improved “products and processes” based upon AR users’ feedback? Looking again to the past for guidance today, with the introduction of the iPhone and Android phones in 2007 and 2008, these tech industry turning points produced “significant data about how customers engaged with their brand”. This time period further provided engineers with a deeper understanding of user requirements. Next, this inverted the value proposition such that “applications could sense and measure” consumer experiences as they occurred. Empowered with comparable “sensing capabilities emerging through the IoT”, manufacturers promptly added connectivity, thus generating the emergence of smart, connected products (SCPs). These new devices now comprise much of the IoT. The resulting massive data collection infrastructure and the corresponding data economy have been “disrupting technology laggards ever since”. What can humans with AR-based devices provide to enhance their experiences? New types of data and “behavioral insights” can be harvested from both SCPs and unconnected products. For example, in the case of an unconnected product, a user with a device equipped to operate as a form of AR-as-a-sensor could examine how the product is used and what are the accompanying user preferences for it. For an SCP, the AR-equipped user could examine how usage affects performance and whether the product is adaptable to that particular user’s purposes. For additionally needed critical context, it is indeed “human interaction” that provides insights into how SCPs and unconnected devices are realistically operating, performing and adapting. This new quantum of AR information further creates a form of feedback loop whereby questions concerning a product’s usage and customization can be assessed. This customer data has become central to “business strategy in the new digital economy”. These are deployed in information management operations to process unrefined AR data into “value-rich knowledge and insights”. By then porting the resulting insights into engineering systems, businesses can enhance their “product portfolio, design and features” in previously unseen ways. Expert Knowledge Transfer: Honeywell is gathering data from experienced employees and then enhancing their collective knowledge to thereafter be transferred to new hires. The company has implemented this by “digitizing knowledge” about their products only made visible through experience. This enables them to better understand their products in entirely new ways. Further details of this initiative is presented on the firm’s website in a feature, photos and a video entitled How Augmented Reality is Revolutionizing Job Training. Voice of the Product: Bicycle manufacturer Cannondale is now shipping their high-end products with an AR phone app to assist owners and bike shop mechanics with details and repairs. This is intended to add a new dimension to bike ownership by joining its physical and digital components. The company can also use this app to collect anonymized data to derive their products’ “voice”. This will consequently provide them with highly informative data on which “features and procedures” are being used the most by cyclists which can then be analyzed to improve their biking experiences. For additional information about their products and the accompanying AR app, see Cannondale Habit Ready to Shred with All-New Proportional Response Design, posted on Bikerumor.com on October 9, 2018. There is also a brief preview of the app on YouTube. There is clearly a range of meaningful impacts upon business strategies to be conferred by AR-derived data. Besides the four positive examples above, other companies are likewise running comparable projects. However, some of them may likely remain constrained from wider exposure because of “technological or organizational” impediments. With the emergence of AR-generated data resources, those firms that meaningfully integrate them with other established business data systems such as customer relationship management (CRM) and “digital engagement”, will yield tangible new insights and commercial opportunities. Thus, in order to fully leverage these potential new possibilities, nimble business strategists should establish dedicated multi-departmental teams to pursue these future benefits. Because the datastreams from AR are visually based, could this be yet another fertile area to apply machine learning and other aspects of artificial intelligence? What other existing data collection and analysis fields might also potentially benefit from the addition of AR-derived data stream? What about data-driven professional and amateur sports, certain specialties of medical practice such as surgery and radiology, and governmental agencies such as those responsible for the environment and real estate usage? What entrepreneurial opportunities might exist for creating new AR analytical tools, platforms and hardware, as well as integration services with other streams of data to produce original new products and services? What completely new types of career opportunities and job descriptions might be generated by the growth of the AR-as-a-sensor sector of the economy? Should universities consider adding AR data analytics to their curriculum? What data privacy and security issues may emerge here and how might they be different from existing concerns and regulations? How would AR-generated data be treated under the GDPR? Whether and how should people be informed in advance and their consent sought if AR data is being gathered about them? How might AR-generated data affect any or all of the arts and other forms of creative expression? Might some new technical terms of ARt be needed such as “ARformation”, “sensAR” and “stARtegic”? 1. Much of the news and tech media provided extensive coverage of this event. Choosing just one report among many, the January 10, 2019 edition of The New York Times published a roundup and analysis of all of the news and announcements that have occurred in an engaging article with photos entitled CES 2019: It’s the Year of Virtual Assistants and 5G, by Brian X. Chen. 2. For an alternative perspective on this question see the November 20, 2018 Subway Fold post entitled The Music of the Algorithms: Tune-ing Up Creativity with Artificial Intelligence. 3. During the 2019 Super Bowl 53 played (or, more accurately, snoozed through), on February 3, 2019, there was an ad for a new product called The Mirror. This is a networked full-size wall mirror where users can do their daily workouts in directly in front of it and receive real-time feedback, performance readings, and communications with other users. From this ad and the company’s website, this device appears to be operating upon a similar concept to Amazon’s whereby users are receiving individualized and immediate feedback. Is there any product, service or technology out there today that’s just a click away from offering people the virtual equivalent of a cure for the common cold that costs less than a dollar and tastes better than chocolate? No, of course not. But as new innovations inevitably rise and fall along the waves of the tech hype cycle, the true potential of The Next Big Tech Thing often takes years to become fully realized and optimized for a deep and wide variety of markets. One of today’s leading candidates competing for this top-level billing is the blockchain.¹ It is enjoying massive media buzz, investment and experimentation in configuring it for a diversity of applications including, among many others, food supply chains, financial services and artists rights. This technology is providing new means to accomplish business tasks more securely and reliably, thus increasing operational efficiencies. Yet whether the blockchain can and will fully and effectively scale in all circumstances still remains to be seen by many sectors of the business world. An inherently key question at the very heart of the blockchain’s growth and acceptance is whether marketers and advertisers can leverage many of its technological virtues and, if so, how they can best accomplish this? Taking a deeply insightful and informative look at of the latest developments concerning this is a highly informative recent article entitled How Blockchain Can Help Marketers Build Better Relationships with Their Customers, by Campbell R. Harvey, Christine Moorman and Marc Toledo, posted on the Harvard Business Review website on October 1, 2018. I highly recommend a click-through and full read if you have an opportunity. I will summarize and annotate this, reference in some related Subway Fold posts, and then pose some of my own ad-free questions. According to a February 2018 CMO Survey, just 8% of its participants rated the usage of the blockchain in their marketing operations as being “moderately or very important”. This technology is still “not well understood” among marketers and perceived as being over-hyped. This has resulted in a “wait and see” attitude about it. Nonetheless, there are compelling reasons to understand the blockchain and build specific marketing applications for it that will be more likely to benefit early adopters and innovators. Currently, electronic transactions using credit and debit cards involve significant costs to online and real-world vendors. These associated costs are passed along to consumers. Sellers often set minimum purchase thresholds to maintain their profitability. However, the transactional costs of using the blockchain are approaching zero. For example, MasterCard and Visa have implemented blockchain-based alternative systems enabling customers to “send money in any local currency”, without using a credit card. This again removes any embedded intermediaries and “connects directly to the banks” involved. Consequently, cross-border fees can be dispensed. There are other advantages emerging for marketers and advertisers involving exchanges of real monetary value with consumers. Rather than these professionals all relying on third-parties such as Facebook for acquiring troves of customer data, they could instead use a system of micropayments³ to directly reward consumers for their personal data. For instance, under this alternative model, a supermarket chain could provide shoppers with a mobile app that pays them to install it, tracks their location, and use it for special deals on merchandise at personalized prices4. Similarly, marketers could employ the use of smart contracts that vitiate the “need for validation, review, or authentication by intermediaries”. These can be engaged when participants subscribe to an email newsletter or customer rewards program. (More on this below.) The micropayments here are dispensed to consumers whenever they respond to a vendor’s emails or advertisements. Furthermore, meaningful cost savings can be directly passed along to consumers by virtue of this voluntarily consumed advertising via these types of blockchain-supported conduits. Verification: The blockchain can be used to provide verification of “the origin and methodology of marketers”. It can likewise reduce or eliminate large-scale phishing spam through the use of micropayments to the recipients of marketing emails. This will enable “companies to identify consumers” who are genuinely interested in their offerings. Micropayments could then be dispensed in exchange for access to various forms of onscreen content. Security: Such implementations could also potentially defeat malicious hacks using denial of service attacks (DoS) and could make social media sites more resistant to automated bot accounts. The former are attempts to overwhelm web servers with a flood of traffic and latter are widely used for massive distributions of deceptive information, as well as to illegally appropriate “online advertising from big brands”. Authenticity: A user’s bonafides is one of the main cornerstones of the blockchain. Turning this into a service, Keybase.io is a company currently working on reducing social media fraud. Their blockchain-enabled app permits individual users to prove they are the “rightful owners” of various social media account. This makes marketing easier to monitor and advertising expenses more supportable. Original and editorial web content built upon blockchain technology can potentially permit media companies to increase their “quality control and copyright protection”.9 For example, Kodak has developed a new product called KODAKOne, an image rights and distribution platform. It uses the blockchain to record the ownership rights to individual images. Photographers will be awarded greater control over their work than they currently have with how their pictures distribution online. In the future, photographers will automatically be sent payments whenever their content is used. This could probably also be used for video content creators whose work has gone viral. A company called Coupit also uses blockchain tech to enable marketers to join loyalty and affiliate programs whereby consumers can opt-in and “trade rewards with each other”. As a result, marketers can increase their “visibility and transparency” in order to distinguish inactive from loyal consumers. They can next sharpen their marketing strategies to distribute “targeted offers” to each of these categories. In those cases where marketers employ a data aggregator or analytics processor, using micropayments will permit companies to circumvent ad-blocking apps10. For consumers, this gives then more fine-point control over their personal data and privacy, and rewards them for their willingness to view advertising that they have chosen. Taking an alternative approach to content monetization is a new web browser called Brave. In addition to providing many built-in privacy and security features, it contains a blockchain-based feature called Basic Attention Tokens (BATs). These enable “publishers to monetize value added services” whereby users can dispense these tokens to sites they choose for content they select. Along with the progression of the blockchain’s reach and capabilities, business “intermediaries will need to adapt” accordingly. As discussed above, consumers will be exercising increased control and discretion over how they decide to engage with advertisers and Web threats such as spam and phishing will become self-limiting as their current tactics will be economically undermined. Balancing this power and attention shift, companies might be able to exert greater control over the “quality of inbound traffic” to their marketing programs and achieve greater understanding of their customers’ needs and motivations. When pursuing such “high value customers”, these economic incentives will perhaps result in a correspondingly increase in value. Given all of these advantages that marketers and advertisers have to gain from further embracing blockchain technology, “finding ways to design and implement” them should be a joint effort among corporate decision-makers not just in marketing but also from the strategy, finance and technology departments. Moreover, innovative applications of the blockchain may ultimately be more beneficially in connecting marketers and advertisers with their intended audiences in ways that may have not been otherwise previously possible. Given that Google and Facebook currently have an overwhelming lock on online advertising’s multi-$billion revenue streams, will they meet any potential challenges to this with their own blockchain-founded variants? If so, how might they be different in their approach to benefit both advertisers and consumers? At the very least, do they even perceive this as a legitimate threat to their business models? In addition to rewarding consumers with micropayments for ad clicks and content views, what, if anything, could companies do to correspondingly build incentives into their pricing structures for consumers’ purchasers? How should pricing be affected for repeat or bulk purchases by consumers? What if consumers make referrals of additional interested consumers to these blockchain-based vendors? Would using mixed media such as augmented reality and virtual reality lend themselves to blockchain-based marketing implementations to further attract new potential consumers? That is, in return for micropayments disbursed to capture users’ attention, might enhanced advertising or content consumption experiences benefit both advertisers and consumers who would both end up feeling as though they are receiving added value for their participation? What new entrepreneurial opportunities for goods, services and technologies might arise from these new and extensible blockchain-based marketing capabilities? 1. Some examples of earlier implementations of blockchain technology were covered in these Subway Fold posts. 2. X-ref to the concluding paragraph of the June 7, 2018 Subway Fold post entitled Single File, Everyone: The Advent of the Universal Digital Profile, concerning another innovative effort to return full control of personal data to consumers called the Hub of All Things. Two other similar startups that have emerged during the past few weeks are Inrupt and Helm. This is starting to become a very interesting and innovative space. Furthermore, there was a fascinating and far-ranging article in The New York Times on October 19, 2018, entitled How the Blockchain Could Break Big Tech’s Hold on A.I., by Nathaniel Popper, exploring the possibility of using the blockchain as a means for individuals to control and distribute some of their personal information to be used in AI databases. 3. Virtual reality pioneer, Microsoft scientist and author Jaron Lanier presented a persuasive case for this, among many other thought-provoking insights about the digital world, in his book entitled Who Owns the Future? (Simon & Schuster, 2013). Highly recommended reading if you have an opportunity. 4. Amazon constantly and widely varies it prices based on all of the personal and market data they have accumulated as reported in an article posted on BusinessInsider.com on August 10, 2018, entitled Amazon Changes Prices on Its Products About Every 10 minutes — Here’s How and Why They Do It, by Neel Mehta, Parth Detroja, and Aditya Agashe. 5. For example, AdBlock and Ghostery, among others, are browser add-ons that can effectively remove nearly all online ads. These apps are continually updated by their developers. 6. Columbia University Law School professor and New York Times contributing opinion writer Tim Wu wrote a highly engaging book on the past, present and future of how advertising and mass media compete for our attention entitled The Attention Merchants The Attention Merchants: The Epic Scramble to Get Inside Our Heads, (Alfred A. Knopf, 2016). It is very worthwhile reading for its originality and insights. 7. See the July 25, 2018 Subway Fold post entitled Book Review of “Frenemies: The Epic Disruption of the Ad Business (and Everything Else)” for more detailed coverage on the current state of the online advertising market. 8. See again the June 7, 2018 Subway Fold post entitled Single File, Everyone: The Advent of the Universal Digital Profile for some of the emerging innovative alternatives in this space. 9. See also these Subway Fold posts in the category of Intellectual Property. 10. See the August 13, 2015 Subway Fold post entitled New Report Finds Ad Blockers are Quickly Spreading and Costing $Billions in Lost Revenue. Every so often, an ad campaign comes along that is strikingly brilliant for its originality, execution, persuasiveness, longevity, humor and pathos. During the mid-1980’s, one of these bright shining examples was the television ads for Bartles & Jaymes Wine Coolers. They consisted of two fictional characters: Frank Bartles, who owned a winery and did all of the talking, and Ed Jaymes, a farmer who never spoke a word but whose deadpan looks were priceless. They traveled across the US to different locations in pursuit of sales, trying to somehow adapt their approaches to reflect the local surroundings. Bartles was very sincere but often a bit naive in his pitches along the way, best exemplified in this ad and another one when they visited New York. These commercials succeeded beyond all expectations in simultaneously establishing brand awareness, boosting sales and being laugh-out-loud hilarious because Bartles’s and Jaymes’s were such charming, aw-shucks amateurs. In actuality, these ads were deftly conceived and staged by some smart and savvy creatives from the Hal Riney & Partners agency. For further lasting effect, they always had Bartles express his appreciation to the viewers at the end of each spot with his memorable trademark tagline of “Thanks for your support”. These 30-second video gems are as entertaining today as they were thirty years ago. Fast forwarding to 2018, advertising is an utterly different and hyper-competitive sector whose work product is largely splayed across countless mobile and stationary screens on Planet Earth. Expertly chronicling and precisely assaying the transformative changes happening to this sector is an informative and engaging new book entitled Frenemies: The Epic Disruption of the Ad Business (and Everything Else) [Penguin Press, 2018], by the renowned business author Ken Auletta. Just as a leading ad agency in its day cleverly and convincingly took TV viewers on an endearing cultural tour of the US as we followed the many ad-ventures of Bartles & Jaymes, so too, this book takes its readers on a far-ranging and immersive tour of the current participants, trends, challenges and technologies affecting the ad industry. This highly specialized world is under assault from a confluence of competitive, online, economic, social and mathematical forces. Many people who work in it are deeply and rightfully concerned about its future and the tenure of their places in it. Auletta comprehensively reports on and assesses these profound changes from deep within the operations of several key constituencies (the “frenemies”, conflating “friend” and “enemy”). At first this might seem a bit too much of “inside baseball” (although the ad pitch remains alive and well), but he quickly and efficiently establishes who’s who and what’s what in today’s morphing ad markets, making this book valuable and accessible to readers both within and outside of this field. It can also be viewed as a multi-dimensional case study of an industry right now being, in the truest sense of the word, disrupted.¹ There is likewise much to learned and considered here by other businesses being buffeted by similar winds. Frenemies, as thoroughly explored throughout this book, are both business competitors and partners at the same time. They are former and current allies in commerce who concurrently cooperate and compete. Today they are actively infiltrating each other’s markets. The full matrix of frenemies and their threats and relationships to each other includes the interests and perspectives of ad agencies and their clients, social media networks, fierce competition from streamers and original content producers like Netflix², traditional media in transition to digital platforms, consulting companies and, yes, consumers. Auletta travels several parallel tracks in his reporting. First, he examines the past, present on onrushing future with respect to revenue streams, profits, client bases served, artificial intelligence (AI) driven automation, and the frenemies’ very fluid alliances. Second, he skillfully deploys the investigative journalistic strategy of “following the money” as it ebbs and flows in many directions among the key players. Third, he illuminates the industry’s evolution from Don Draper’s traditional “Mad Men” to 2018’s “math men” who are the data wranglers, analysts and strategists driven by ever more thin-sliced troves of consumer data the agencies and their corporate clients are using to achieve greater accuracy and efficiency in selling their goods and services. A deep and wide roster of C-level executives from these various groups were interviewed for the book. Chief among them are two ad industry legends who serve as the x and y axes upon which Auletta has plotted a portion of his reporting. One is Martin Sorrell, who was the founder and CEO of WPP, the world’s largest advertising holding company.³ The other is Michael Kassan, the founder and CEO of MediaLink, a multifaceted firm that connects, negotiates and advises on behalf of a multitude of various parties, often competitors in critical matters affecting the ad business. Both of these individuals have significantly shaped modern advertising over many decades and are currently propagating some of the changes spotlighted in the book in trying to keep it vital, relevant and profitable. The established tradition of creativity being the primary driver of advertising creation and campaigns has given way to algorithm-driven data analytics. All of the frenemies and a myriad of other sites in many other parsecs of the websphere vacuum up vast amounts of data on users, their online usage patterns, and even go so far as to try to infer their behavioral attributes. This is often combined with additional personal information from third-party sources and data brokers. Armed with all of this data and ever more sophisticated means for sifting and intuiting it, including AI4, the frenemies are devising their campaigns to far more precisely target potential consumers and their cohorts with finely grained customized ads. The high point of this book is Auletta’s nuanced coverage of the ongoing controversy involving the tension between frenemies using data analytics to increase click-through rates and, hopefully, sales versus respecting the data privacy of people as they traverse the Web. In response to this voracious data collection, millions of users have resisted this intrusiveness by adding free browser extensions such as AdBlock Plus to circumvent online tracking and ad distribution.5 This struggle has produced a slippery slope between the commercial interests of the frenemies and consumers’ natural distaste for advertising, as well as their resentment at having their data co-opted, appropriated and misused without their knowledge or consent. Recently, public and governmental concerns were dramatically displayed in the harsh light of the scandals involving Facebook and Cambridge Analytica. Furthermore, Google and Facebook dominate the vast majority of online advertising traffic, revenues and, most importantly, the vast quantum of user information which ad agencies believe would be particularly helpful to them in profiling and reaching consumers. Nonetheless, they maintain it is highly proprietary to them alone and much of it has not been shared. Frenemies much? Additional troubling trends for the ad industry are likewise given a thorough 3-D treatment. Auletta returns to the axiom several times that audiences do not want to be interrupted with ads (particularly on their mobile devices). Look no further than the likes of premium and the major streaming services who offer all of their content uninterrupted in its entirety. The growing ranks of content creators they engage know this and prefer it because they can concentrate on their presentations without commercial breaks slicing and dicing their narrative continuity. The still profitable revenue streams flowing from this are based upon the strengths of the subscription model. Indeed, in certain cases advertising is being simultaneously disrupted and innovated. Some of the main pillars of the media like The New York Times are now expanding their in-house advertising staff and service offerings. They can offer a diversified array of ads and analyses directly to their advertisers. Likewise, engineering-driven operations like Google and Facebook can deploy their talent benches to better target consumers for their advertisers by extracting and applying insights from their massive databases. Why should their clients continue go to the agencies when their ads can be composed and tracked for them directly? The author presents a balanced although not entirely sanguine view of the ad industry’s changes to maintain its composure and clients in the midst of this storm. The frenemy camps must be willing to make needed and often difficult adjustments to accommodate emerging technological and strategic survival methods. He examines the results of two contemporary approaches to avoiding adblocking apps and more fully engaging very specific audiences. One is called “native advertising“, which involves advertisers producing commercial content and paying for its placement online or in print to promote their own products. Generally, these are formatted and integrated to appear as though they are integrated with a site’s or publication’s regular editorial content but contain a notice that it is, in fact “Advertising”. Among the media giants, CBS seems to be getting their adaptive strategies right from continuing to grow multiple revenue streams. They now have the legal rights and financial resources to produce and sell original programming. They have also recently launched original web programming such as Star Trek: Discovery on a commercial-free subscription basis on CBS All Access. This can readily be seen as a challenge to Netflix despite the fact that CBS also providing content to Netflix. Will other networks emulate this lucrative and eyeball attracting model? As Auletta also concludes, for now at least, consumers as frenemies, appear to be the beneficiaries of all this tumult. They have many device agnostic platforms, pricing options and a surfeit of content from which to choose. They can also meaningfully reduce, although not entirely eliminate, ads following them all over the web and those pesky stealth tracking systems. Whether they collectively can maintain their advantage is subject to sudden change in this environment. Because of the timing of the book’s completion and publication, the author and publisher should consider including in any subsequent edition the follow-up impacts of Sorrell’s departure from WPP and his new venture (S4 Capital), the effects of the May 2018 implementation of EU’s General Data Protection Regulation (GDPR), and the progress of any industry or government regulation following the raft of recent massive data breaches and misuses. Notwithstanding that, however, “Frenemies” fully delivers on all of its book jacket’s promises and premises. It is a clear and convincing case of truth in, well, advertising. So, how would Frank Bartles and Ed Jaymes 2.0 perceive their promotional travels throughout today’s world? Would their folksy personas play well enough on YouTube to support a dedicated channel for them? Would their stops along the way be Instagram-able events? What would be their reactions when asked to Google something or download a podcast? Alternatively, could they possibly have been proto-social media influencers who just showed up decades too soon? Nah, not really. Even in today’s digital everything world, Frank and Ed 1.0 still abide. Frank may have also unknowingly planted a potential meme among today’s frenemies with his persistent proclamations of “Thanks for your support”: The 2018 upgrade might well be “Thanks for your support and all of your data”. For a very enlightening interview with Ken Auletta, check out the June 26, 2018 podcast entitled Game Change: How the Ad Business Got Disrupted, from The Midday Show on WNYC (the local NPR affiliate in New York). September 4, 2018 Update: Today’s edition of The New York Times contains an highly enlightening article directly on point with many of the key themes of Frenemies entitled Amazon Sets Its Sights on the $88 Billion Online Ad Market, by Julie Creswell. The report details Amazon’s significant move into online advertising supported by its massive economic, data analytics, scaling and strategic resources. It comprehensively analyzes the current status and future prospects of the company’s move into direct competition with Google and Facebook in this immense parsec of e-commerce. I highly recommend a click-through and full read of this if you have an opportunity. 1. The classic work on the causes and effect of market disruptions, the disruptors and those left behind is The Innovator’s Dilemma, by Clayton Christensen (HarperBusiness, 2011). The first edition of the book was published in 1992. 2. Netflix Topples HBO in Emmy Nominations, but ‘Game of Thrones’ Still Rules, July 13, 2018, New York Times, by The Associated Press. However, see also Netflix Drops Dud on Wall St. As Subscriber Growth Flops, July 16, 2018, New York Times, by Reuters. 3. Sorrell is reported in the book as saying he would not leave anytime soon from running WPP. However, following the book’s publication, he was asked to step down in April 2018 following allegations of inappropriate conduct. See Martin Sorrell Resigns as Chief of WPP Advertising Agency, New York Times, by Matt Stevens and Liz Alderman, April 14, 2018. Nonetheless, Sorrell has quickly returned to the industry as reported in Martin Sorrell Beats WPP in Bidding War for Dutch Marketing Firm, New York Times, by Sapna Maheshwari, July 10, 2018. 4. For a very timely example, see The Ad Agency Giant Omnicom Has Created a New AI Tool That is Poised to Completely Change How Ads Get Made, BusinessInsider.com, by Lauren Johnson, July 12, 2018. 5. Two other similar anti-tracking browser extensions in wide usage include, among others Ghostery and Privacy Badger. 6. See also Cord-Cutting Keeps Churning: U.S. Pay-TV Cancelers to Hit 33 Million in 2018 (Study), Variety.com, by Todd Spangler, July 24, 2018. Yesterday, on May 30, 2018, at the 2018 Code Conference being held this week in Rancho Palos Verdes, California, Mary Meeker, a world-renowned Internet expert and partner in the venture capital firm Kleiner Perkins, presented her seventeenth annual in-depth and highly analytical presentation on current Internet trends. It is an absolutely remarkable accomplishment that is highly respected throughout the global technology industry and economy. The video of her speech is available here on Recode.com. Her 2018 Internet Trends presentation file is divided into a series of twelve main sections covering, among many other things: Internet user, usage and devices growth rates; online payment systems; content creation; voice interfaces’ significant potential; user experiences; Amazon’s and Alibaba’s far-reaching effects; data collection, regulation and privacy concerns; tech company trends and investment analyses; e-commerce sectors, consumers experiences and emerging trends; social media’s breadth, revenue streams and influences; the grown and returns of online advertising; changes in consumer spending patterns and online pricing; key transportation, healthcare and demographic patterns; disruptions in how, where and whether we work; increasingly sophisticated data gathering, analytics and optimization; AI trends, capabilities and market drivers; lifelong learning for the workforce; many robust online markets in China for, among many, online retail, mobile media and entertainment services; and a macro analysis of the US economy and online marketplaces. That is just the tip of the tip of the iceberg in this 294-slide deck. Ms. Meeker’s assessments and predictions here form an extraordinarily comprehensive and insightful piece of work. There is much here for anyone and everyone to learn and consider in the current and trending states nearly anything and everything online. Moreover, there are likely many potential opportunities for new and established businesses, as well as other institutions, within this file. I very highly recommend that you set aside some time to thoroughly read through and fully immerse your thoughts in Ms. Meeker’s entire presentation. You will be richly rewarded with knowledge and insight that can potentially yield a world of informative, strategic and practical dividends. September 15, 2018 Update: Mary Meeker has left Kleiner Perkins to start her own investment firm. The details of this are reported in an article in the New York Times entitled Mary Meeker, ‘Queen of the Internet,’ Is Leaving Kleiner Perkins to Start a New Fund, by Erin Griffith, posted on September 14, 2018. I wish her the great success for her new venture. I also hope that she will still have enough time that she can continue to publish her brilliant annual reports on Internet trends. All photos on this page by Alan Rothman. Sometimes in traditional advertising for creative works like movies, TV shows, books and plays, the quoted reviews and taglines include the exclamation “This one’s got it all!” Yet this is only rarely, if ever, true. Well, wait a minute. Let’s check that. Last Thursday, May 10th, I had the great pleasure of attending TechDay New York 2018, held at Pier 94, on the West Side of midtown Manhattan. This is a monumental annual exhibition of 500 startups located throughout NYC almost did have it all. In addition to all of these new companies, there were separate areas set up for brief products and services demos and talks by industry experts. Even the TV show Shark Tank was on site there. First and foremost, massive amounts of thanks to everyone at Techday for putting on such a terrifically enjoyable, informative and memorable event. Their efforts clearly showed that they worked long and hard to get everything about it right. One of New York City’s greatest economic and cultural strengths has always been its incredible global diversity of it population. So, too, is that dynamic comparably evident in the breadth of it startup ecosystem. From one end of Pier 94 to the other, there was artificial intelligence this, blockchain that, and data analytics everything infused everywhere. Just a sampling of who and what were on display, among many others, were startups in legal services, architecture, editorial software, video search, incubators and accelerators, social media support services, event planning platforms, programmer aptitude testing, intellectual property protection, pharmacy order and delivery services, office design consultants, branding and digital experience designers, augmented and virtual reality hardware and software, venture capitalist, crowdfunding services, multi-platform public relations strategists, fashion designers, food services (some displaying much chocolate! ), consumer data tracking analyst, competitive intelligence trackers and analysts, restaurant reservations, media consultants, phone apps, online security planning and systems, fully integrated electronic health records and billing systems, and dedicated tech recruiters as well as exhibitors themselves looking for new talent. Whew! Notwithstanding the vastness of the exhibition space, hundreds of startups and thousands of attendees, the organization and presentations of the startups’ display areas was well planned and easy to navigate. The startups were grouped in helpful sectors for social media, e-commerce, fintech and others into more general categories. Above all other considerations, I found every entrepreneur I stopped and spoke with, asking them to tell me about their company, to be highly enthusiastic, engaging and sincere. They were knowledgeable about their markets and competitors, sounded willing to adapt to changing market conditions and, most importantly, convinced that they would become successful. At no point did any of them move on to their next visitors until they sensed that I understood what they were saying and encouraging me to follow their progress online. They were not so much giving visitors hard sales pitches, but rather, much more of the who, what, where, how and when of their businesses. My gratitude to all of them for their patience with me and many of the other attendees I saw them talking to with the same level of professionalism. Below are some of the photos I took while I was there. I was trying to capture some sense of infectious energy and engagement being generated across entire day’s events. My very best wishes to all 500 startups to succeed and prosper. * For some very worthwhile deep and wide analysis of the effects of AI upon current and future employment, I highly recommend the recently published book entitled Human + Machine: Reimagining Work in the Age of AI, by Paul Daugherty (Harvard Business Review Press, 2018). As a part of today’s modern music industry there exists a complementary and thriving support system of venture capital firms and music tech startup accelerators who are providing a multitude of innovative services. A fascinating examination of the current state of this ecosystem appeared in an article entitled Music Pushes to Innovate Beyond Streaming, But Investors Play It Safe: Analysis, by Cherie Hu, posted on Billboard.com on 7/24/17. I highly recommend reading it in its entirety for its insights, assessments and accompanying graphics. Is Big Data Calling and Calculating the Tune in Today’s Global Music Market? In mid-2017, the music tech market is generating signals as to its direction and viability. For example, Jawbone, the once thriving manufacturer of wearable audio devices is currently being liquidated; Soundcloud the audio distribution platform let go of 40 percent of its staff recently only days before the firm’s tenth anniversary; and Pandora has experienced high turnover among its executives while seeking a sale. Nonetheless, the leaders in music streaming are maintaining “the music industry’s growth”. Music tech showcases and music accelerators including SXSW Music Startup Spotlight, the Midemlab Accelerator, and Techstars Music are likewise driving market transformation. During 2017 thus far, 54 music startups from more than 25 cities across the globe have taken part in these three entities. They have presented a range of submissions including “live music activations and automated messaging to analytics tools for labels and artists”. While companies such as Live Nation, Balderton Capital and Evolution Media have previously invested in music startups, most investors at this mid-year point have never previously funded a company in this space. This is despite the fact that investments in this market sector have rarely returned the 30% that VCs generally seek. As well, a number of established music industry stars are participating as first-time or veteran investors this year. Of the almost $900 million funding in music tech for the first half of this year, 75% was allocated for streaming services – – 82% of which went only to the leading four companies. However, there remains a “stark disconnect” involving the types of situations where music accelerators principally “lend their mentorship” in “hardware, virtual reality1, chatbots, label tools”, and the issues that VC concentrate the funding such as “streaming, social media, brands”. Moreover, this situation has the potential of “stifling innovation” across the industry. To date, music accelerators have “successfully given a platform and resources” to some sectors of the industry that VCs don’t often consider. For example, automated messaging and AI-generated music2 are both categories that music accelerators avoided until recently, now equal 15% of membership. This expansion into new categories reflects a much deeper “tech investment and hiring trends”. Leading music companies are now optimistic about virtual digital assistants (VDA) including chatbots and voice-activated systems such as Amazon Alexa3. As well, Spotify recently hired away a leading AI expert from Sony. However, this “egalitarian focus” on significant problems has failed to “translate into the wider investing landscape” insofar as the streaming services have attracted 75% of music tech funding. The data further shows that licensing/rights/catalog management, social music media, and music, brands and advertising finished, in that order, in second at 11.1%, third at 7.1% and fourth at 3.9%. These percentages closely match those for 2016. Currently, many VCs in this sector view streaming “as the safest model available”. It is also one upon which today’s music industry depends for its survival. Categories that did relatively well in both their number of rounds of funding and accelerator membership were “catalog management, social music platforms, and live music”. Those music tech startups that are more “futuristic” like hardware and VR are seen favorably by “accelerators and conference audiences”, but less so among VCs. Likewise, while corporate giants including Live Nation, Universal Music Group, Citi and Microsoft have announced movement into music VR in the past six months, VC funding for this tech remained “relatively soft”. Even more pronounced is the situation where musical artists and label services such as Instrumental (a influencer discovery platform) and chart monitors like Soundcharts have not raised any rounds of funding. This is so “despite unmatched attention from accelerators. This might be due to these services not being large enough to draw too “many traditional investors”. An even more persistent problem here is that not many VCs “are run by people with experience in the music industry” and are familiar with its particular concerns. Once exception is Plus Eight Equity Partners, who are trying to address “this ideological and motivational gap”. Then there are startups such as 8tracks and Chew who are “experimenting with crowdfunding” in this arena but who were not figured into this analysis. In conclusion, the tension between a “gap in industry knowledge” and the VCs’ preference for “safety and convenience”, is blurring the line leading from accelerator to investment for many of these imaginative startups. Of those music startups who have successfully raised funding, what factors distinguished their winning pitches and presentations that others can learn from and apply? Do VCs and accelerators really need the insights and advice of music industry professionals or are the numbers, projects and ROIs only what really matters in deciding whether or not to provide support? Would the application of Moneyball principles be useful to VCs and accelerators in their decision-making processes? 1. 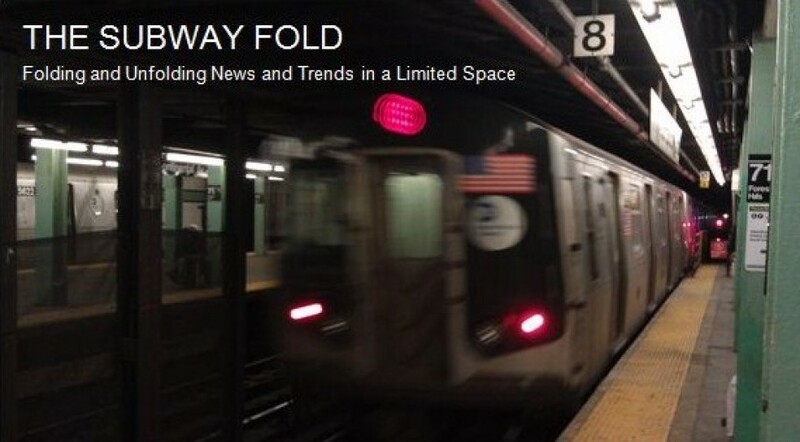 See the category Virtual and Augmented Reality for other Subway Fold posts on a range of applications of these technologies. 2. For a report on a recent developments, see A New AI Can Write Music as Well as a Human Composer, by Bartu Kaleagasi, posted on Futurism.com on 3/9/17. 3. Other examples of VDAs include Apple’s Siri, Google’s Assistant and Microsoft’s Cortana.